Our purpose build kennels are all extra large and comprise of an indoor heated area with attached covered outside area (ensuring your dog remains dry throughout the day) - 16ft x 8ft in total. 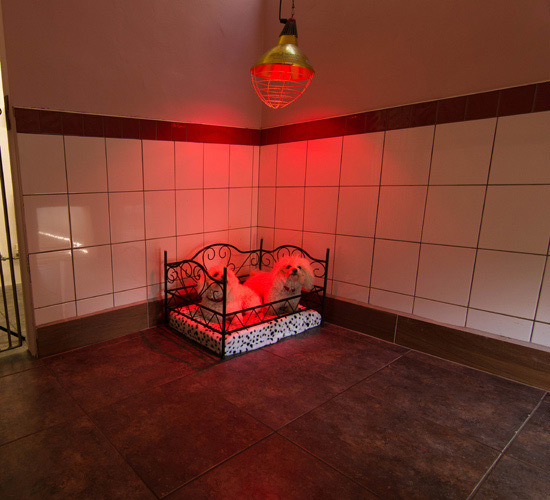 All kennels have individual heat lamp and central heating. We have highly experienced staff offering a complete range of grooming services for all breeds of dog. Open to boarders and non boarders. The grooming parlour has many of its own customers who are not boarding and pet welfare is our priority. 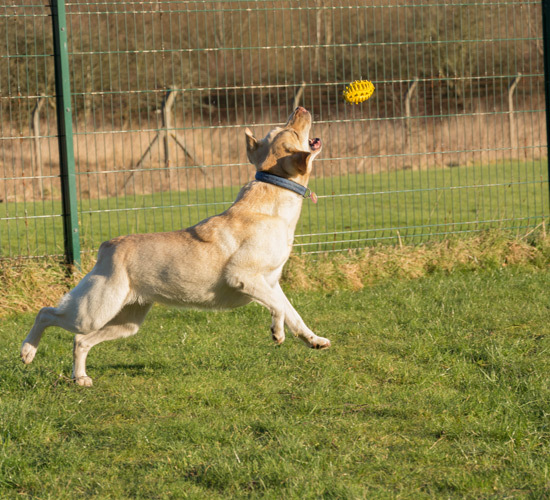 At Birdston Kennels we offer a large range of activities within our grounds to keep our dogs stimulated, healthy and happy. Lead walking and free running in our large grass paddock or playtime with in one of our designated outdoor play areas. Birdston Kennels open strictly from 9am - 12pm and 2pm - 4pm, 7 days a week. We are between Kirkintilloch and Milton of Campsie. From the Kilsyth/Kirkintilloch Road, turn into the Birdston Road B757 and travel - mile. Our luxury dog boarding kennels are situated in 122 acres of beautiful wooded countryside between Kirkintilloch and Milton Of Campsie, just seven miles from Glasgow City Centre. Birdston Kennels provides a relaxing, peaceful setting for your companion, offering views of wildlife and countryside. 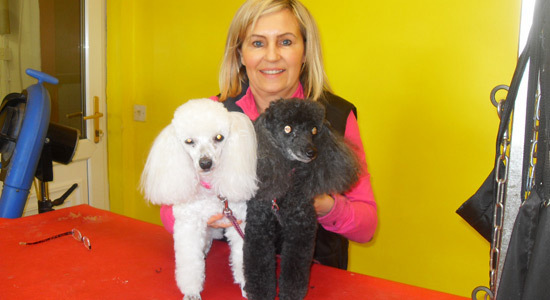 Birdston Kennels in Glasgow also offers a professional dog grooming service carried out by highly experienced staff. 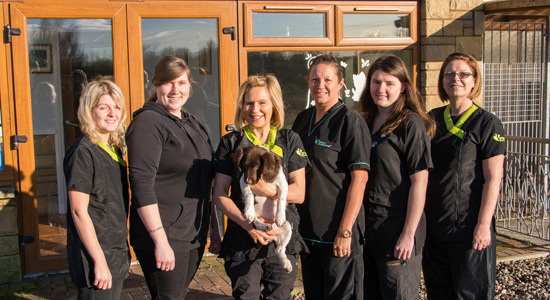 We are a small establishment with only 20 kennels allowing us to provide a quiet, calm and relaxing environment. Our staff dog ratio is one member of staff to every 6 or 7 kennels enabling us to operate a personalised service tailored to meet our guests individual needs. 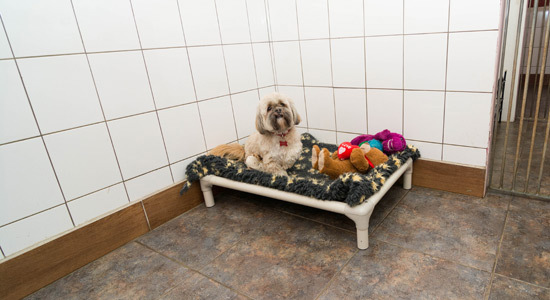 Our purpose build kennels are all extra large and comprise of an indoor heated area with attached covered outside area (ensuring your dog remains dry throughout the day) - 16ft x 8ft in total. All kennels have individual heat lamp and central heating. All dogs are exercised 3 times per day. They can have off lead walks in our secured grass area or if you prefer your dog can be kept on the lead (i.e. if elderly or infirm). We also provide play time in one of our large play areas; we provide a range of activity toys, providing the stimulation they need to keep them healthy and happy. One member of staff is designated to do activities with the dogs for most of the day. A 10 acre area surrounding the kennels has been secured with security barrier fencing to ensure the safety of your companion. In addition we have CCTV surveillance and resident manager on site 24 hours 7 days per week. 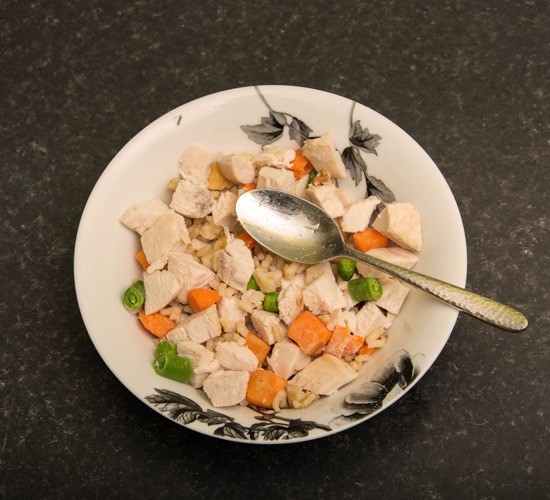 At Birdston Kennels we treat our boarders as we would treat our own. We provide a friendly, loving and professional service which is second to none to both our guests and their owners.